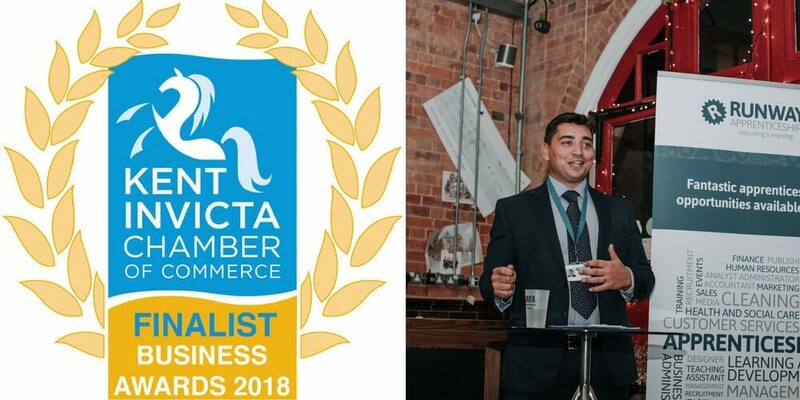 We are delighted that Runway Training’s Oliver Trailor is a finalist in the Kent Invicta Chamber Business Awards 2018. Oliver Trailor, Managing Director of Runway Training, has made it through to the final in the ‘Entrepreneur of the Year’ category. The winners will be announced at the awards ceremony on Thursday 22nd March 2018 at Canterbury Cathedral Lodge. It is a great achievement for Oliver but also recognises the hard work the whole of the Runway Training team has put in over the past year.